Looks over here – http://forums.macrumors.com/showthread.php?t=1325709. They are patching 32-bit boot.efi to make it loading 64-bit kernel. Obviously such functionality cant be added if it werent present at all. So they just disable the check/lock preventing it. ML on original macpro. So, greedy Apple, can boot 64-bit kernel on all their macs with 64-bit cpu but decides not to! 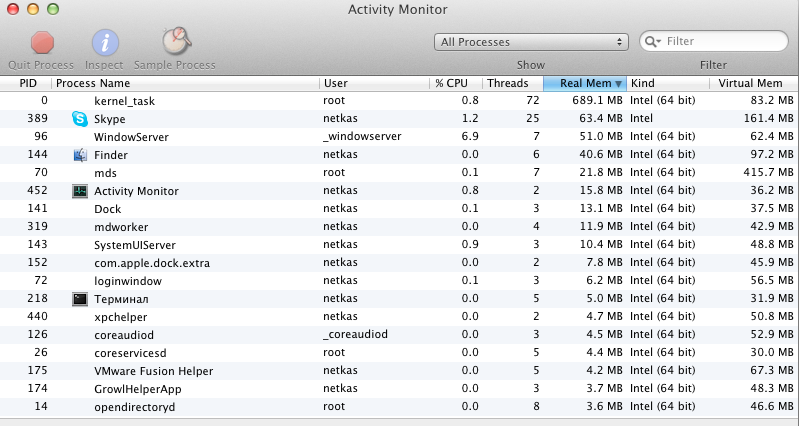 So, Apple released sources of some components of mountain lion, like xnu kernel. 10.7.5/mbp2012 drivers run opencl on Fermi just fine out of box, no more need to enable it binpatching, but.. If you have a card with more than 2 gb of video memory, opencl suddenly gets disabled, wtf? basicaly, if your video ram amount > 2GB by at least 1 byte, then you are screwed. Funny Apple, they decided to control it themselves instead of putting check in the nvidia driver. But, we can just disable the check and enjoy. The nvidia drivers from mbp2012(and from 10.7.5 beta, they are same) are really leaky one. For example, yeasterday I had a site with many flash ads openned in opera and bam, kernel (kernel_task, video driver is part of it) eats 690 MB of memory. Normally its around 200mb. Only happens when nvidia card installed, no problem with ati. GPU drivers are exactly same version as in MBP2012’s update pkg. At least you can use 10.7.5 beta update to get drivers installed the Apple’s way. We all was wondering how will apple implement TB on new macpro… well we can continue wondering. They use lucid virtu mvp i-mode to pass rendered image from external gpu to internal gpu which is connected to TB. No matter what, it gives performance hit (and lga2011 xeons doesnt have iGPU anyway). Still interesting video to watch.